IBM COS Integration Services to help define and deliver your cloud storage strategy. 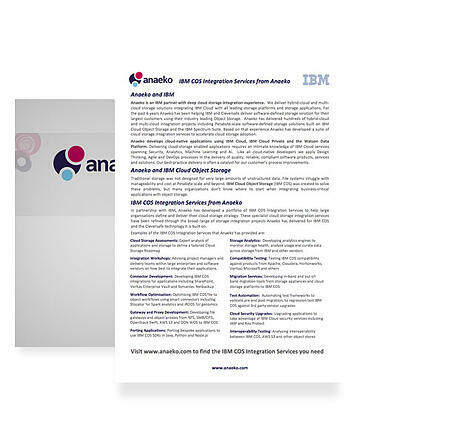 Download our latest Datasheet on IBM COS Integration Services and find out how Anaeko can integrate your business-critical applications with object storage. These specialist cloud storage integration services have been refined through the broad range of storage integration projects.